On the morning of Saturday, March 30th God chose to call his beloved child Eva Jean Francis home. She preferred to be called by her middle name Jean, and was affectionately known to family, friends and even strangers as, “Mama Jean”. E. Jean Francis was born in North Hampton County, North Carolina to the late Bessie M. (Murphy) and Jack Sumler. God called her home on the morning of March 30th 2019. While we grieve for our lost, we take comfort in knowing that she is in the arms of our precious Lord and Savior Jesus Christ. She was the fourth of six children (two brothers and three sisters). At a young age, her family moved to Portsmouth, Virginia were she attended Portsmouth Public Schools. In 1951, she relocated to New York at the age of 18 where she would reside for the next 60 years of her life. She met the love of her life, David Francis while in New York. They were united in marriage for over 56 years and resided in Great Neck, NY until he predeceased her in death in 2014. She worked for Manhasset Public Schools of New York before retiring in 2003 when her health began to decline. 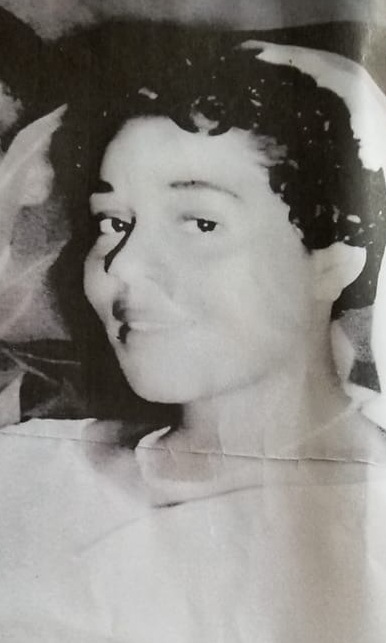 Shortly thereafter she returned home to Virginia to live with her beloved sister, Beatrice “Snook” Jackson. Mama Jean was deeply loved and cherished for the generosity, kindness, and unselfish love that she freely shared with family and friends. She was a free spirit, always willing to share her love, advice and laughter with all those around her. She loved to travel and had been several times to the Caribbean Isles. She was even known as Mama Jean by the Sentara Nursing Center staff nurses who often came to her for life advice. She leaves to cherish her memory her daughter, Missionary Shirley Stewart (Irving) of Chesapeake, VA. Two grandchildren, Dr. Travonia B. Hughes (Donald) of Suffolk, MD; and James L. Brown of Chesapeake, VA; great grand-son James P. Hughes and adopted daughter, Wilma Renee Scott of Chesapeake, VA. She was predeceased by her beloved spouse, David Francis, and parents, Bessie (Murphy) and Jack Sumler, two brothers, Clifton Murphy of Westbury, NY, and Thomas L. Sumler of Baltimore, MD and three sisters, Beatrice Jackson, Lois Morgan, and Daisy Mae Perryman of Portsmouth, VA. She is survived by two sister-in-law’s, Janet Murphy of Westbury, NY, and Helene Jones of Chesapeake, VA and many life-long friends. She also leaves to cherish her memory a host of nieces, nephews, godchildren, family and friends. Shirley,Rene Buck & family: We are so sorry to hear about your mom. It may be hard but remember, Our God does all thing right. He knows exactly what & when to do all things. Our prayers are with you all. We love y’all. God will carry you through. God bless you all. ❤🙏Mother Lillie Mae Williams, Gladys & family. My love and deepest sympathy to the family. Miss Eva was one of my favorite residents at Sentara Lifecare she will be solely missed. I’m sorry for your lost . Mother Jean was just as sweet as can be , she will be greatly missed. May God Bless. We will keep the family in our prayers. My grandmother was a ray of sunshine. Her laugh, her smile, her voice and her presence was that of light and love. I will NEVER forget her. I am who I am today because of her. If you ever met her you would never forget her. She just had that type of presence. She taught me how to give unselfishly and with love. I was not born rich but God gave me jewels in the form of my grandmother, my Nana, my Aunt Daisy and my Aunt Pig. They will always remain forever in our hearts. Oh what a time we will have when we are all reunited again in heaven.